11.15 a.m., The Eucharist, Holy Trinity Church, Rathkeale, Co Limerick. Readings: Acts 2: 14a, 22-32; Psalm 16; I Peter 1: 3-9; John 20: 19-31. May I speak to you + in the name of the Father, and of the Son, and of the Holy Spirit, Amen. This Sunday, the Second Sunday of Easter, has a number of names that introduce us to important Christian values, ideas and concepts. 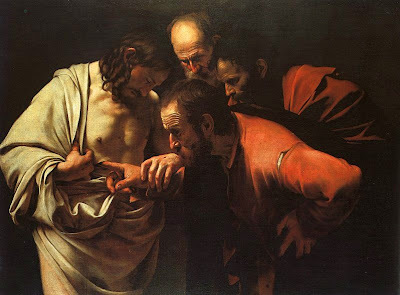 In the Eastern Churches, this day is known as Thomas Sunday, because of the dramatic story about the Apostle Thomas in our Gospel reading this morning. In many places, this Sunday is known as Low Sunday. Some say it was called ‘Low Sunday’ because today’s liturgy is something of an anti-climax after the solemn Easter liturgy and celebrations a week ago. Some even joke that today is known as Low Sunday because this is the Sunday choirs take off after their hard work during Holy Week and Easter. In some places, including parts of France and Germany, this day is called ‘Quasimodo Sunday.’ The Latin introit for the day begins: ‘Quasi modo geniti infantes ...,’ ‘Like new-born infants ...,’ words from I Peter 2: 2 reminding newly-baptised Christians and all baptised members of the Church that we have been renewed, like new-born infants, in the waters of Baptism. 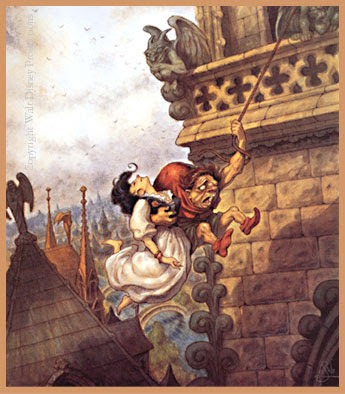 Perhaps Quasimodo and his love for Esméralda would make a wonderful sermon topic some day. It is a story of how people are often judged, and judged wrongly, because of their looks, their clothes and their social status. Quasimodo is despised because of the large, ugly wart on his face and his disfigured body, and he is ridiculed for his inarticulate speech and for his deafness. And Esméralda fails to appreciate the true beauty and undying nature of the love Quasimodo offers her. What sort of learners are Mary in last week’s Resurrection story, Thomas in this morning’s Gospel reading, and the other disciples in those readings? May all our thoughts, all our prayers and all our deeds be + in the name of the Father, and of the Son, and of the Holy Spirit, Amen. (Revd Canon Professor) Patrick Comerford is Priest-in-Charge, the Rathkeale and Kilnaughtin Group of Parishes. This sermon was prepared for Holy Trinity Church, Rathkeale, Co Limerick, on Sunday 23 April 2017, the Second Sunday of Easter (Low Sunday).